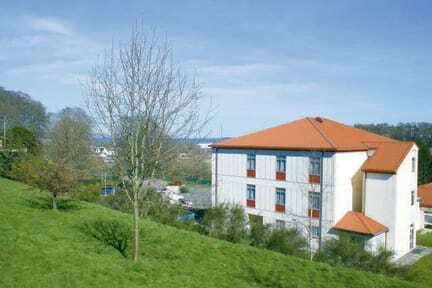 Inverness Youth Hostel offers modern budget accommodation with superb facilities. The youth hostel also offers family friendly private en suite rooms, all of which are freshly decorated, warm and comfortable, with private lockers. Some rooms also have glorious views towards the Moray Firth. 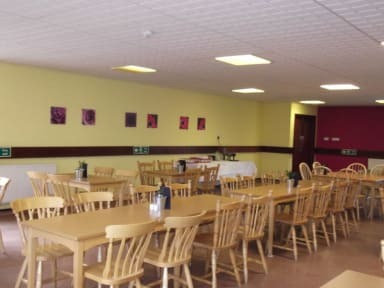 Inverness Youth Hostel offers meals but also has an excellent self-catering kitchen, making it popular with groups and families. The youth hostel has a warm welcome and buzzing atmosphere making it one of Scotland’s top youth hostels in the capital of the Highlands. While located only 10 min walk from Inverness city centre and train station, Inverness Youth Hostel is nestled in a quiet and secure area of the city. There is plenty to do in Inverness with excellent cinemas, traditional music venues, pubs, galleries and a castle. Further afield Loch Ness, the Black Isle and Culloden should be on everybody’s list of places to visit. This area is also awash with great marine and wildlife, as well as many interesting mountain bike routes. A bit off from the center but nicely situated still. Very secure rooms, clean ensuite room and bathroom - highly recommend. Great place to stay. Cool and warm atmosphere! Thanks. Très grande auberge de jeunesse, assez peu familiale finalement, mais personnel très accueillant. Une petite tablette pour poser les affaires de toilette dans la douche serait appréciable en revanche =) Mur assez fin, le groupe de jeunes n'est pas passé inaperçu. Hostel situé un peu à l'écart du centre, mais avec toutes les commodités (cuisine, salle de lavage, lounge). Propreté irréprochable. Il n'y a pas d'ambiance et les employés ne sobt pas très chaleureux. Mais l'endroit est très propre et sécuritaire.